Oman often gets overlooked thanks to the noise made by brasher neighbours but those who make the journey are well rewarded. The country offers stunning desert and coastal landscapes and draws on 5,000 rich years of history to wow visitors. 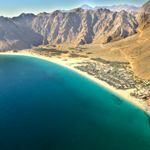 Omani hospitality is second to none and even the most luxurious of hotels are family-friendly, thanks to perfect beaches and a huge range of activities. The Sultanate of Oman is one of our favourite holiday destinations for families who like to combine world-class hospitality in a top hotel with a real sense of the local culture and history. You can expect fabulous beaches, shopping and excellent cuisine. However, it’s Oman’s 5,000 years of history that really make this such a fascinating destination, from ancient castles to bustling souks. Add in vast swathes of desert, lush citrus groves and spectacular mountains and gorges and you have all the ingredients for an unforgettable family holiday. The Shangri La Barr Al Jissah Resort & Spa comprises three individual hotels located on a secluded bay just 45 minutes from the airport and 20 minutes from Muscat. The Al Waha is more family-focused with interconnecting family rooms and it’s closer to the children’s activities and clubs. We especially like the Adventure Zone, for ages four up to 17. The Al Bandar is a notch above in terms of luxury – a small, more exclusive option but just as family-friendly and with access to the same kids facilities and activities as the Al Waha. 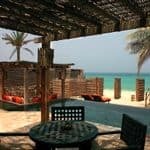 At either of these hotels, you can enjoy a wide choice of restaurants, a superb spa, gorgeous sandy beach and water sports plus a complimentary shuttle bus to old Muscat. Between January and June, there’s a good chance of seeing nesting turtles. Six Senses Zighy Bay is truly unique. 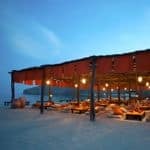 Situated on Oman’s northern Musandam Peninsula, it’s under two hours from Dubai International Airport and is set along a 1.6km beach. Zighy Bay has been cleverly designed to blend in with the natural surroundings; it’s eco-friendly too, all trademarks of the Six Senses group. Choose from one- and two-bedroomed villas and villa suites, each with a private pool and some located directly on the beach. 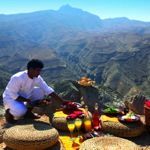 Activities include traditional dhow cruises, hiking, mountain biking, water-skiing, kayaking, snorkelling, scuba-diving, sailing, paragliding (from the top of the Hajar Mountains) and 4×4 village ‘safaris’. There’s a free club for teenagers and a children’s club each morning for ages 4 to 12 yrs. Wind down with some pampering in the outstanding Six Senses Spa. We can arrange a private tour of Oman for your family or multi-centre holiday combining Oman with another destination such as Sri Lanka or the Maldives for example. Find out more about our family holidays in Oman and our latest special offers.